The overpass is a former-railroad bridge spanning SW 13th Street that is currently part of the Depot Avenue Rail Trail. The CRA modified the structure to create a signature gateway feature announcing the entry to the College Park / University Heights neighborhood and the University of Florida. 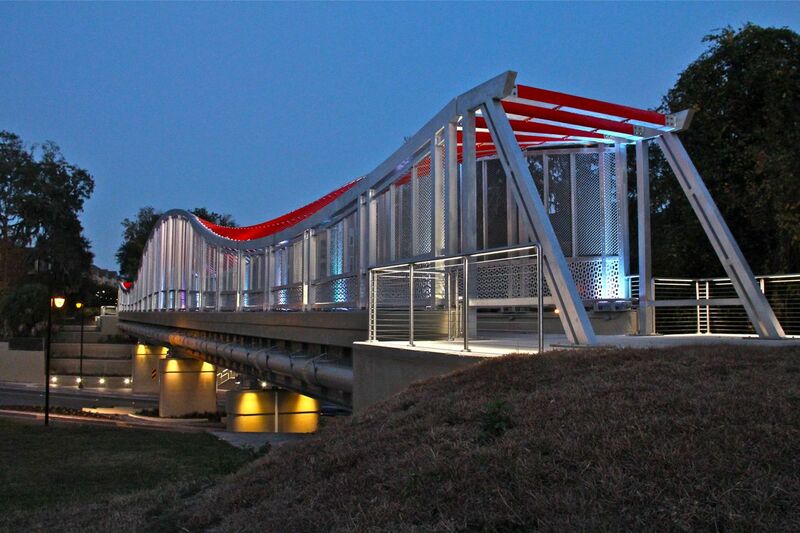 The project features a re-designed bridge, stairway connecting 13th Street to the rail trail, rain gardens and observation platform. Construction was completed in November 2012.